Mr Hashmi was born and educated in Bahrain. He returned to Pakistan at an early age of 26. 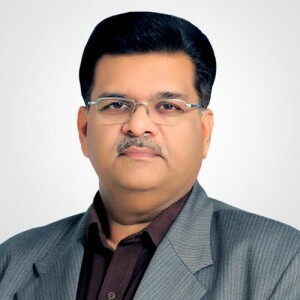 Due to his vast exposure in the fields of policy formulations , engineering, plastics and auto parts manufacturing Mr Hashmi has over the years being elected as Chairman of the All Pakistan Business Forum, the Pakistan Plastic Manufacturers Association (PPMA), The Pakistan Auto parts Manufacturers Association (PAAPAM), AOTS – (Japan) and the Pakistan Japan Business Forum (N) amongst others. With his in depth analysis of the Pakistan’s auto sector and Plastic sector he has played a major role in the design and re-structuring of Pakistan’s Automotive Tariff Based System that replaced the Deletion Programs. Currently the AUTO INDUSTRY DEVELOPMENT PROGRAM that is operative in Pakistan has key components in it that were structured and proposed by Mr Hashmi. Mr Hashmi was nominated as a founding Director of the PIEDMC in 2004 - (Punjab Industrial Estates Development & Management Company) and has since headed the Marketing, Telecommunications & IT strategies of the Punjab Industrial Estates. Over the years he has drafted and put in place Industrial and customer orientated development policies to operate and run the various Board of Managements including Sunder Industrial Estate, Quaid e Azam Industrial Estate , Multan Industrial Estate and others. These policies now continue to be standardized in all new upcoming Industrial estates of Punjab. Future projects proposed and structured by him include the Commercial developments of the Commercial zones and building of the Multi Purpose Industrial complex of the Sunder Industrial estate. 4) Pakistan’s Engineering Exports Enhancement & competitive scheme (PEECS). Pakistan’s largest engineering trade shows which include the “Pakistan Autoshow” (PAPS) and the “Pakistan Plastic Show” (PAKPLAS) are trademark initiatives organized by him.Mr Hashmi today operates his Plastic and LPG businesses from Lahore. © 2018 Pakistan Freedom Movement. All rights reserved.